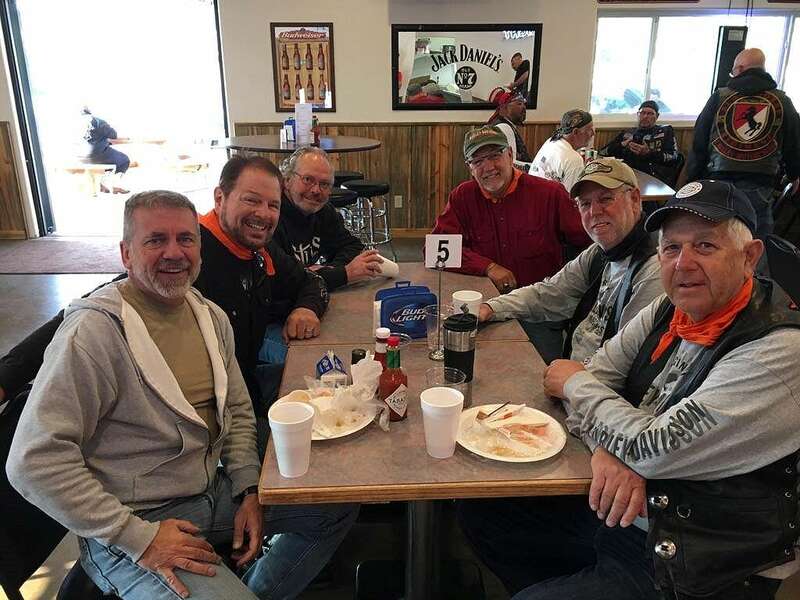 Making the Sturgis ride were, left to right, Pastor Steve Pope, Pastor Dave Miller, Chuck Wolcott, Pastor Eric Thomas, Don McIntosh and John McIntosh. These words are Harley Davidson’s invitation to take their bike out on the open road. We did. We took four days to get there and spent three days at “the world’s largest motorcycle rally.” Our destination was Sturgis, S.D., where riders worldwide have been gathering annually since 1938. An estimated 500,000 motorcycle enthusiasts came together in 2017 for a wild getaway week. Our objective was a bit different. 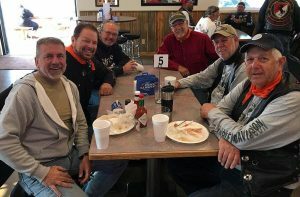 Five friends and I answered an invitation from the Dakota Baptist Convention (sturgisbikegiveaway.com) to share the gospel at this annual celebration. A brand new Harley Davidson would be raffled off to the public. The cost of a raffle ticket? Just listen to a three-minute presentation of the gospel. That’s where we came in. My friends and I went to participate in these three-minute chats with non-believers. Scores of other Christian riders participated. Our three-minute presentations all followed the same outline: before, then, and since. We each shared what life was like before we accepted Jesus’ offer of salvation. Then we described the event when we embraced the good news. Finally, we talked about what life was like in the aftermath of our conversion. All in three minutes. We kept records of conversions, allowing us to follow up with people we spoke with after we returned home. A surprising number of converts took their commitment to Christ seriously and were connecting to evangelical churches. Meanwhile, at Ripon Grace, we started a segment in the morning worship service scheduling volunteers to share their conversion story in three minutes. Listening to the ways Jesus has drawn people to Himself in our church family has stimulated them to breathe deeper, smile bigger, and made their hearts beat louder. — by John McIntosh, senior pastor of Ripon Grace Church, Ripon, Calif.
[Connect:] To send a note of encouragement to John, click here.